Time for everybody to pack it in and head home. CES is done for 2012 – all the tech is being packed up and shipped back, and attendees were probably trying their last minute luck on a couple of slots before they fly out. But they didn’t leave without onlookers being able to check out a couple more digital goodies. Even though there were hundreds of things to share from the show, over the course of this feature I really focused on stuff that I could picture purchasing for myself. So today I’m only going to highlight a couple of items, one of them for mobile media and the other as something that could make you the Obi-Wan Kenobi of your television. I love all the things my mobile device is capable of doing, including the ability to view media on the go and store it in my pocket. But what would be really nice is to be able to project that media onto a screen or a wall and get not only decent picture, but some deep sound too. Yesterday, a little tech teamwork from WOWee and MicroVision may make that possible. MacroVision already manufactures the PicoP laser projectors, which provide some pretty nice picture for a pocket-sized portable device. WOWee already manufactures the ONE speaker, which is one of the better devices on the market that claims to be able to turn any surface into a speaker. But as of the end of this show, both companies have entered into a partnership, and will begin bundling their devices together to provide mobile users with “an immersive viewing experience virtually anywhere.” The new partners are advertising that mobile and tablet users will be able to use these bundles to watch media on a 200” diagonal projection with booming sound. They may be only bundled devices for now, but I can see this partnership eventually making one hybrid unit that provides both video and sound. Something like that would definitely be a traveling media junkie’s best friend, and doubles in usefulness with some business potential – an easy set up for client presentations on the road or board meetings too. We already took a look earlier this week about controlling Windows 8 navigation with your eyes, now how about controlling a TV with your mind? We’ve all wished it at one point or another – sometimes those remote controllers seem to just grow legs and hide. To initiate mind control, Haier has developed their Brain Wave headset that puts a little metal pad on your forehead and a clip on your earlobe to translate your thought power into control. Unfortunately Haier didn’t have a traditional TV interface for doing regular TV things like volume control and changing channels. Instead, they had a little game where you use the controller to guide a bird through a maze. But so far it doesn’t look like it may be very easy to use. In Engadget’s hands-on video, you can see that there was a little bit of trouble doing much more than making the bird float and move up and down. I’m sure there’s more improvements to come with this technology, but it still doesn’t remedy one problem versus a standard remote control – if you’re not wearing it, you can still misplace it. So I guess you can put the lightsabers away for now. CES always sets the tone for the kind of consumer tech we’ll see over the year. There’s still a number of trade shows yet to come in 2011 and a lot of stuff we haven’t seen yet – we still have the Mobile World Conference in February, E3 later this year, and of course Apple’s WWDC always has some interesting stuff. Nevertheless, there are still some themes set at CES, specifically two main ones in my eyes. Not surprisingly, the first clear theme is mobile. There were an overwhelming number of products that are aimed at being useful on the go. Ultrabooks got more exposure than both tablets and traditional laptops over the four days of the show. 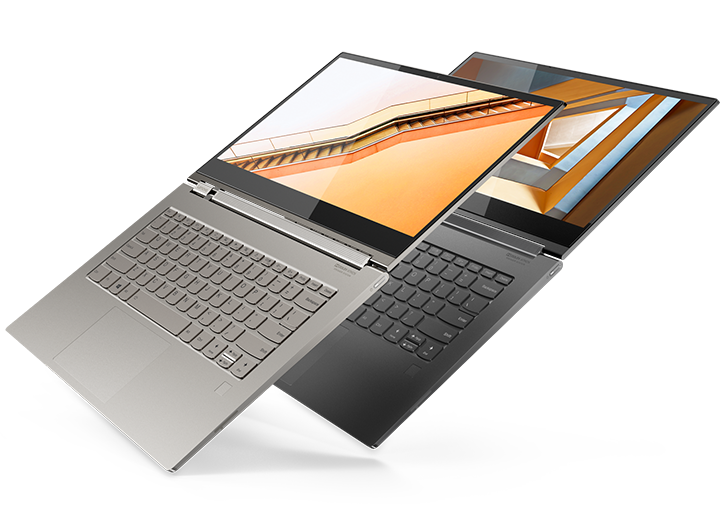 Manufacturers really focused on showing off notebooks with super-thin form factors that don’t force users to have to trade portability for power the way current-gen netbooks do. For me personally that tradeoff is a big problem, and I imagine I’m not the only one. There’s one very prominent problem that prevents me from buying a tablet or a slim netbook right now – they just don’t do everything my laptop does. There’s no sense in me spending that kind of money (and even more on peripherals) when I’m not getting everything I want. HP, Dell, Lenovo, Acer, Samsung and Vizio have tried to remedy that problem by putting out some really sleek units that use the strength of newer construction materials to lower unit weight – carbon fiber, glass, gorilla glass and magnesium alloy. And if there’s one thing I like more than power, it’s power that weighs in at 3 pounds. Thankfully, another theme was that no one really cares about 3D in their living rooms. Well, not as much as the industry was banking on (I do so love it when industry agrees with me). Instead of televisions that attempt to provide huge strides in 3DTV technology, what we saw instead were units that enhance the 2D HDTV experience with newer technologies that finally made it to larger screens. Samsung and LG showed off some excellent units using OLED technology and Sony showed us a prototype of their Crystal LED televisions – both technologies that take backlight out of the picture, providing true blacks and sharper picture. As we already looked at though, it wasn’t just about beauty. There were also some enhancements in the “brains” department. Integrated voice command technology, built in receiver boxes and built in DVR’s were touted to make television sets not only brighter, but smarter. All of this is made possible by TV sets that speak to the outside world, thereby connecting the user without any other tech necessary. And again, none of that was in 3D. Well that’s all I have for you for CES 2012. Part of me is a little upset that I didn’t take some vacation time and just go myself, but another part of me is relieved after reading about the experiences ZDNet’s Ed Bott shares with us about the hassle, sea of humanity, the secondhand smoke, and the invariable colds and flus that get passed around when that many people are crammed together like sardines in a jar. But oh, all the toys!